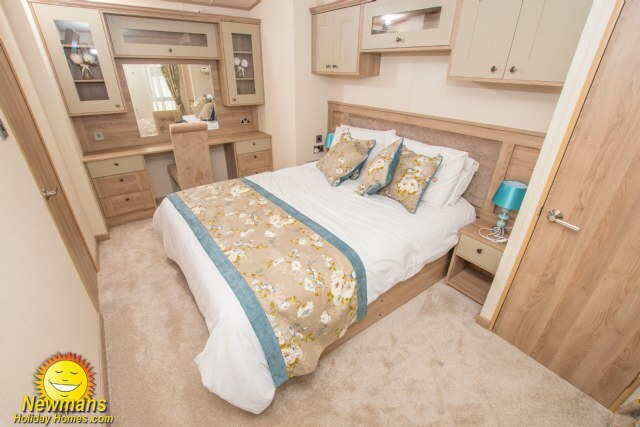 GH2 is a stunning Abi Beaumont 2018 14’ x 42’ 2-bedroom 6 berth holiday home located on Gorse Hill with sea views, spacious lounge, modern kitchen, fridge freezer, French doors to gated veranda, king size bedroom with en-suite shower room, washing machine, dish washer and private driveway. 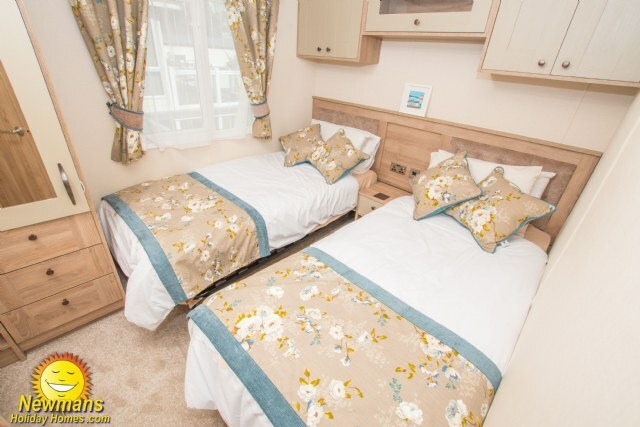 FREE COMPLETE LINEN SERVICE: When you book this caravan for 7 nights or more ALL necessary beds will be made, and a bath and hand towel will be supplied for each guest ready for your arrival. LOUNGE; this fantastic holiday home offers a comfortable and spacious lounge with large open plan living, with all the comforts of home, freestanding chesterfield lounge suite and scatter cushions, 32" TV with Freeview and DVD, integrated sound system, fixed units and contemporary electric fire. French doors opening onto the gated veranda. KITCHEN & DINING AREA; GH2 has been fitted with a modern kitchen that includes an Integrated cooker with oven & grill, five ring gas hob inc wok burner, linen finished sink & drainer, plenty of cupboard space with soft close hinges, larder store, integrated fridge freezer, dishwasher, microwave/grill and washing machine. A bright and airy kitchen with elegant adjoining dining area with table and high back chairs. BEDROOMS; This accommodation has two bedrooms, one luxury king size fitted with walk through with traditional wardrobes, vanity area, USB points, LCD TV and Free view. The main room also benefits from a 3/4 bath with overhead shower, toilet, and wash basin en-suite. The spacious twin bedroom offers larger than normal size beds (can’t be pushed together) with fitted wardrobe, USB points and flat screen TV. PLEASE NOTE: We will only allow a maximum 6 guests to stay in this accommodation at any one time. BATHROOM & TOILET; Family shower comprises of large shower cubicle, toilet, and wash basin. 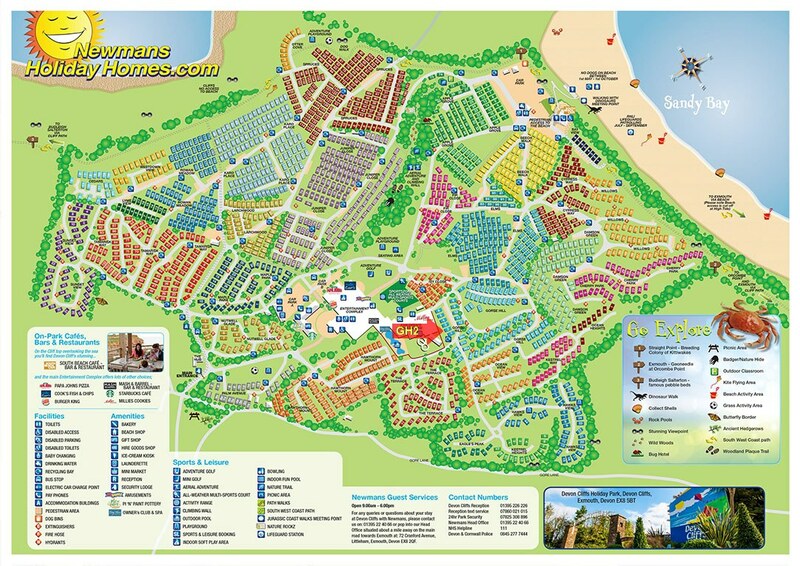 HEATING; Yes, GH2 has double-glazing and full central heating with radiators in all rooms, this means you can holiday all season in comfort. VERANDA; YES, large veranda fitted with a gate, and benefiting from sea views and complete with patio table and chairs. PARKING; GH2 benefits from its very own private drive. DISTANCE TO MAIN AMENITIES; approx. 2 to 3 minutes’ walk. 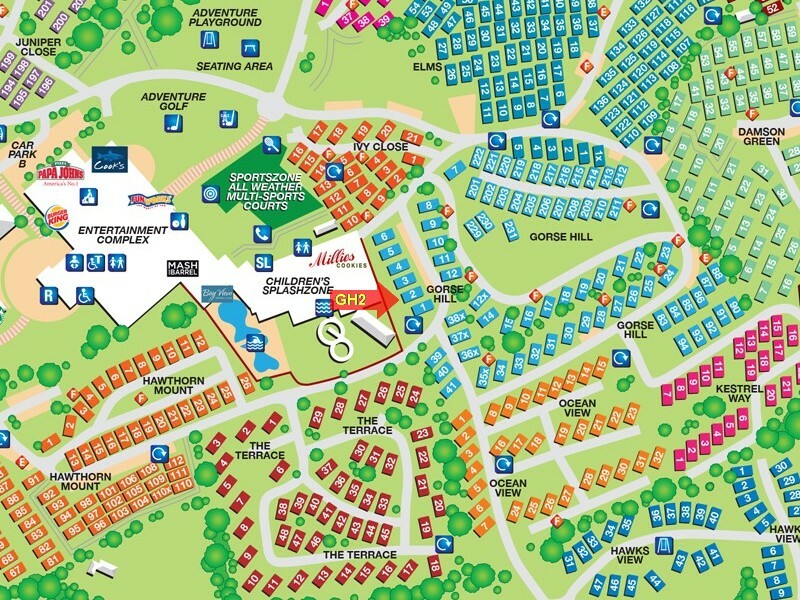 NEAREST CARAVANS FOR GROUP BOOKINGS; To find the closest caravans for group bookings please click Browse Caravans at Devon Cliffs, then select Gorse Hill (GH) , from the Park Area list and click Search.